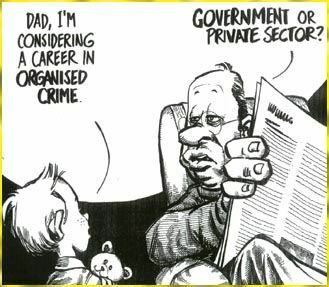 Do you wonder what I am going to do next GOV? When will we get our day in court? All lawsuits have had their arguments made at the Ninth Circuit. According to a 9th Circuit FAQ (http://www.ca9.uscourts.gov/content/faq.php), decisions are rendered between 3 months and a year after final arguments. The IRS’ oppressive use of power recently is a direct consequence of bad IRS laws. Congress has provided the IRS the power to police itself by eliminating deterrence for intentional violations of the law. This post tells you how the law does it. This particular enabler for abuse power has been in place for years. Recently however, federal power has accumulated in Washington. The willingness of federal employees to exceed their lawful power in the pursuit of some agenda has also expanded. Have you wondered why the debate in Washington has become rancorous lately? It is because the political parties are fighting to control that unjust power. Our representatives should be fighting to limit or eliminate it. They are not. Are we becoming a country inhabited by 2 separate sets of folks, those who must follow the laws and those who might follow the laws? The US District Attorney has the duty to prosecute people who have been found to be engaged in criminal behavior. In our case, District Attorney Laura Duffy responded to allegations of corruption, by multiple IRS employees over a long period of time, in essence by stating that IRS agents get a pass since their illegal activities, since they might not have noticed that they were breaking laws. Would that line of reasoning work for the rest of us? 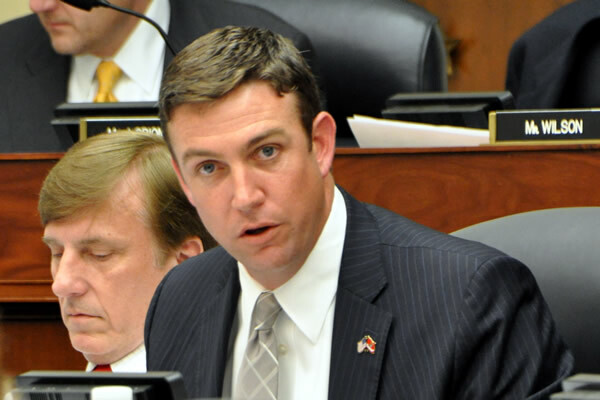 Rep. Duncan Hunter–for IRS, assault is the bar. I finished my conversations with Representative Duncan Hunter (initial emails: EMAIL 1 EMAIL 2). What a disappointment. With the collaboration of the House Ways and Means committee, Duncan Hunter’s office has decided that the immunity laws are just fine. According to Hunter’s office (tel. conv. ), the Ways and Means committee staff do not want IRS employees’ behavior changed. I responded that IRS employees then have no limits to the acts they can perform in order to collect taxes. Duncan Hunter’s office replied that there is a limit–assault. Federal statutes defeat deterrence for IRS employees’ intentional violation of the law. This is why the IRS acts like a bully. We sued, claiming that once deterrence for intentional violation of the law is defeated, a taxpayers’ due process rights can be undone. The lawsuit was dismissed because the District Court concluded that once Congress gives IRS employees immunity, that is all the due process we should expect. All briefs for the constitutional appeal have been filed at the 9th Circuit. The United States brief is the most poorly argued of the entire dispute. We, in turn, cut them no slack for their departures from the facts, law, and the constitution. For reference, the Kenner opening brief is here.